Jacquelin F. Drucker - Arbitrator based in New York, New York. If you’d like a list of available dates for Jacquelin Drucker, please submit a request below. You will hear back directly from Jacquelin's assistant, Sam Beasley . Jacquelin F. Drucker maintains a national and interlational practice devoted exclusively to the arbitration of employment, labor, and complex commercial cases. Ms. Drucker is listed on the following panels of the American Arbitration Association: the Employment Arbitration Roster; the Large, Complex Commercial Disputes Panel; the Labor Panel; the National Class-Action Roster; and the Commercial Panel. She has extensive experience arbitrating employment and commercial cases that arise under various ADR systems and pursuant to individual contracts. Ms. Drucker has heard and decided all forms of statutory discrimination claims involving employees ranging from clerks and laborers to CEOs and lawyers, and she has handled FLSA collective actions, class actions, and whistleblower claims. Arbitrator Drucker also has heard hundreds of cases involving alleged breaches of individual employment contracts, non-compete clauses, trade-secret provisions, severance plans, and anti-poaching restrictions. She has resolved commercial disputes relating to a range of issues. A former Governor of the National Academy of Arbitrators (NAA), Ms. Drucker is named as a permanent arbitrator under dozens of collective bargaining agreements in a wide array of industries throughout the country. She also arbitrates ERlSA and MPPAA matters. Prior to becoming a neutral more than 20 years ago, Arbitrator Drucker was in the private practice of law, focusing on employment and labor litigation, served as general counsel of a state labor board, and worked for several years as a lobbyist. Arbitrator Drucker is on the adjunct faculty of Cornell University School of Industrial and Labor Relations and the Scheinman Institute on Conflict Resolution, where she previously served for several years as the Director of Programs for Neutrals. She was the designer of and lead instructor for the American Arbitration Association's first nationwide training program for its Employment Arbitration Panel and was a lead trainer for the AAA's 2002-2006 advanced training program for employment arbitrators. Ms. Drucker twice traveled to The Republic of Panama to present week-long training programs that she developed, at the request of that country's government, for its arbitrators and mediators. Board and has served on its Second Circuit Credentials Committee. 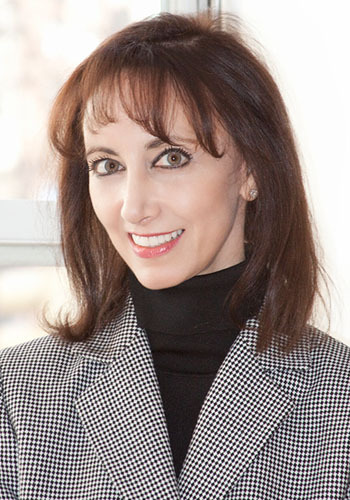 Ms. Drucker was elected in 2010 to the Board of Directors of the American Arbitration Association.